Looking to take advantage of a U.S. sanctions waiver, China’s Sinopec has offered $3 billion to Iran to develop the Yadavaran oil field, a report said. The Chinese state-run energy company reportedly told its Iranian government-owned counterpart, the National Iranian Oil Co., that it wanted China’s share of the field’s production to be granted under the U.S. sanctions waiver allocated to China, the Wall Street Journal reported on Jan. 17. After restoring sanctions against Iran in November, the U.S. gave temporary waivers to eight major clients of Iranian oil: China, India, South Korea, Japan, Italy, Greece, Taiwan and Turkey. The waivers are due to expire after a period of 180 days, though Washington is reportedly mulling an extension. Sinopec’s offer comes as European firms have halted purchases of crude oil from Iran amid U.S. sanctions. The Trump administration had warned that any country buying oil from Iran would be prohibited from buying oil from the U.S. 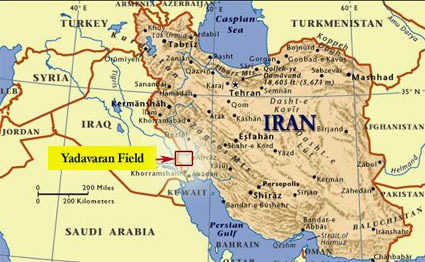 If the deal goes through, it would double production at the Yadavaran field in western Iran to 200,000 barrels per day within six months, according to the report. Yadavaran remains one of the world’s biggest undeveloped oilfields, with reserves standing at about 31 billion barrels of light and heavy crude oil. Sinopec has informed the U.S. State Department about the Iran deal and is said to believe it would not run afoul of a U.S. ban on signing new development deals, the report said. Sinopec claimed the proposal for further development is part of an existing contract to operate the field.